GamEvolution - Football Manager 2013 Announced! 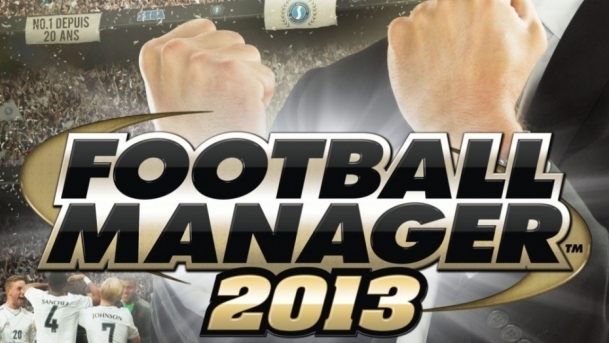 Homepage » Sports » Football Manager 2013 Announced! Football Manager 2013, announced today by Sports Interactive and SEGA, marks a seismic shift in the development of the best-selling series. In addition to offering an array of improvements and enhancements over its predecessors, the new release also incorporates a series of radical changes and new game modes which, for some, will revolutionise the way the game is played. Perhaps the most noteworthy of these is the introduction of the all-new Classic mode… or ‘FMC’ as it’s become known within Sports Interactive. FMC offers, for the first time in Football Manager’s long and successful history, an alternative, less time-consuming way for players to approach the game. The new mode simplifies the way players manage their club and allows them to focus on the nuts and bolts of taking their team to the top. “The introduction of FMC is a major step forward in Football Manager’s evolution,” says Sports Interactive’s Studio Director Miles Jacobson. “In recent years it’s become clear that there’s a large group of people who would like to play Football Manager, but simply can’t devote the time required to get the most out of the game – in fact, now that they have families and other commitments, even some members of the SI team have found themselves in this position. We decided, therefore, to try to find a way to accommodate players with limited free time, without significantly diluting the experience. We believe that FMC achieves this beautifully. As well as streamlining the manager’s role – to the point where a full season can be played out in eight to 10 hours – FMC also offers its players two distinct ways to play; they can either embark on an open-ended career or test their mettle in the new Challenge mode. In Challenge mode the player faces a particular scenario which is designed to test his or her management skills over a set period of time – usually half a season. The challenges replicate a variety of real world circumstances… is it possible to achieve success with a squad consisting entirely of kids, for example, or can a team that’s bottom of the table on Christmas Day be saved from relegation by the end of the season? Challenge mode was first introduced to Football Manager in Football Manager Handheld 2012 (for iPhone and Android) and proved so popular that it has been incorporated into the PC and Mac game. FM13 will ship with five challenges included, while more will be made available throughout the year, depending on the level of demand from players around the world. Alongside Challenge mode, FMC also incorporates a number of ‘unlockable’ features which, if used, make the game a little easier to play – managers can remove the need for work permits, for example, or add a few million to their transfer budget. Players can ‘earn’ some of these unlockables by reaching in-game milestones, while all are available to purchase if the player chooses to do so. Perhaps the most visible enhancements to FM13 will be those that have been made to the 3D match engine. In this year’s release, everything on and around the pitch will look more realistic; from the stadiums and crowds through the players’ movements and the way the ball moves through the air. A variety of new and improved animations give matches a more realistic feel, while a revamp of the camera system makes the matchday experience more ‘televisual’. These visual enhancements are underpinned by a dramatic improvement in the match engine’s artificial intelligence system. FM13 sees a significant restructure of the manager’s backroom staff and a revamp of their roles. This includes the introduction of a Director of Football who will (if required) take on some of the manager’s workload, such as contract negotiations or the disposal of unwanted players. In addition, the number of specialist coaches has increased and the manager has greater flexibility to choose which coaches to seek advice from and when to do this, as well as more specialised coaches and the ability to improve coach’s skills as they qualify for their coaching badges.